Joints form the connections between bones. They provide support and help you get around. Damaged joints are painful and can slow you down. In one national survey, about one-third of adults reported having joint pain within the past 30 days.1 Knee pain was the most common complaint, followed by shoulder and hip pain. But joint pain can affect any part of your body, from your ankles to your shoulders. As you age, painful joints become increasingly more common. Starting a regular fitness program is a vital step toward taking control of your joint pain. 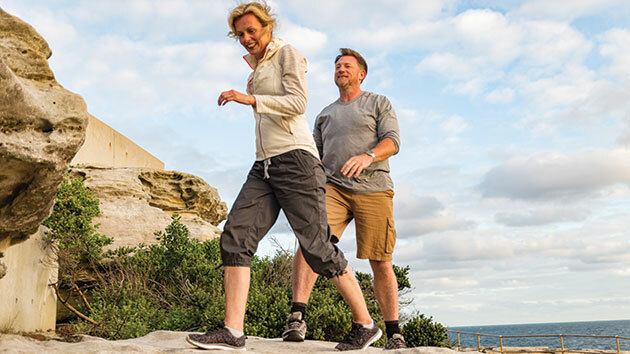 Most experts agree that regular, moderate exercise greatly improves joint flexibility and helps relieve pain and stiffness for people with joint pain or arthritis. ThermaCare® HeatWraps deliver long-lasting therapeutic heat that works with the body to temporarily relieve joint aches and pains. The heat therapy also helps increase flexibility to make body movement freer and easier. For joint pain, or minor arthritis pain, an OTC pain reliever like Advil® may be helpful. However, read the pain reliever's label first and follow its directions. If an OTC treatment does not relieve discomfort or if you are taking prescription medications for any reason, consult a healthcare professional.